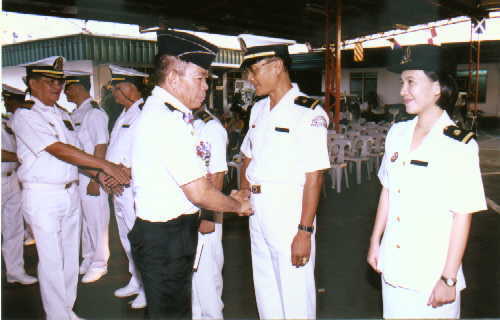 The new members of the 109th CGAS are congratulated and welcomed by Rear Admiral Manuel De Leon AFP and other officers of the 109th Coast Guard Auxiliary Squadron. 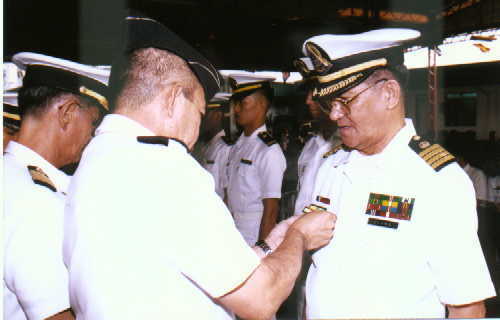 Rear Admiral Manuel De Leon AFP pins award ribbons to Captain Virgilio Cloma PCGA. 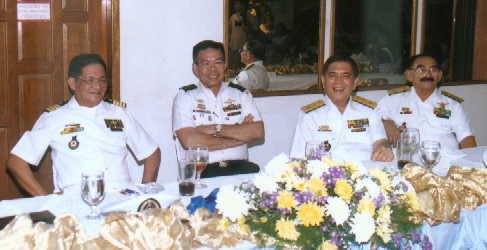 Top brass of the PCG and PCGA smile as they drink and watch presentations prepared by the 109th CGAS. 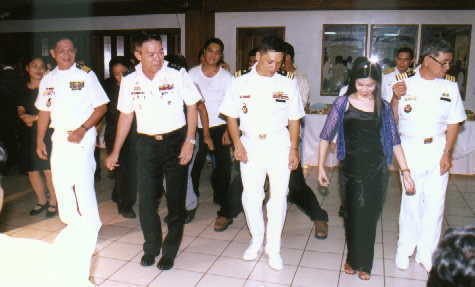 Members of the PCG and PCGA dance the L.A. Walk. 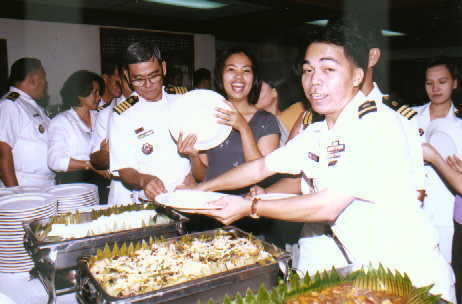 Members of the 109th CGAS and their guests enjoy the food at the reception. 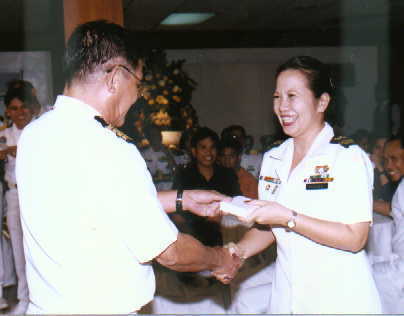 An organic member of the PCG receives a memorabilia from Captain Virgilio Cloma PCGA.